How actively working towards quality sleep can change your world. Where you focus goes, energy flows and this applies to sleep. In a way, we all know that. Think about a time you really wanted something, so much so that you worked relentlessly until you had it. Maybe it was getting a date with that one person, buying a certain vehicle, purchasing your first home or saving up for a magical vacation. Whatever it is, we all have an example of how focusing all our energy on one thing got us the rests we wanted. Now hold on there, before you go assuming that this is about to be a real snooze (pun super intended), hear me out. If you’re tired of being tired, frustrated about waking up in the middle of the night, unable to lose weight, struggling with mental health and/or tossing and turning all night is the only action going on in your bed, you’re going to want to read this. And you’re definitely going to want to focus on how to get the best sleep of your life. While the amount of sleep adults need varies from person to person, for the most part it’s the 7–9 hours we’ve all heard about. There are outliers, but that captures most people. The quality of sleep during that time is as important as the amount of time that you spend sleeping. Quality sleep is one where you’re not being woken up by noises, animals, lights, thoughts, temperature issues, etcetera and thus your body is going through all the proper cycles of sleep. And that’s but the tip of the sleep benefit ice burg! You may notice that all those factors combine improve your overall quality of life and have your friends coming around to see you again. Perhaps a good night’s sleep ought to come with a warning that it has been shown to improve your relationships, chances of promotion at work and fuel your creativity. If the benefits of sleep have your attention and you’re ready to focus in on getting quality sleep on a consistent basis, the first step is to take a look at what is currently blocking you from getting a good night’s sleep. Want to guess what the number 1 response to “What interrupts your sleep?” my nutrition clients gave me over the course of 8 years? It wasn’t stress, kids, having to pee (from all the fluids I encouraged them to drink) or even their spouse’s snoring. Hands down, without a question, the most common answer I heard was… drum roll please… PETS! Not saying kick Fido to the curb. Oh goodness no. I have a 12 year old dog and I’ll kick anyone to the curb before him. One of the reasons I love him so is that he rarely, if ever, interrupts my sleep. He’s a big fan of sleep himself. But he too, many years ago, used to wake me up in the middle of the night to go outside. It finally dawned on me that if I stop drinking fluids an hour or so before bed so I’m not up peeing all night, the dog ought to as well. Problem solved because I focused on it. Pets sleeping on the bed can interrupt sleep too. As can many other factors. Look at the ones you can change and start there. Be physically active throughout the day. We humans were NOT made for sitting. While the oh-so-lively debate rages on between whether sleep deprivation or sitting is the new smoking, they’re both incredibly lousy for your health and one begets the other. Nip the cycle in the rear by putting some pep in your step. Being active has a list of benefits as long as sleeping. On that list is a good night’s rest because you’ve met the human need for physical activity and worn yourself out. Double bonus, take Fido with you on a walk as part of that to tucker him out too. In addition to eating a healthy, well rounded diet, make sure to time your meals as well. Cut the caffeine 10 hours-ish before you hit the sack. Drink a relaxing herbal tea prior to bed, but not so close to bed that you’re up all night peeing. Try to stop eating roughly 2 hours before going to bed so your last meal or snack doesn’t interfere with your sleep. Avoid heavy, greasy and/or spicy meals at the end of the day. All of that can keep you up at night and contribute to stressful dreams that diminish the quality of your sleep. If the worry monster is what’s keeping you up at night, this is an absolute must. Before going to bed make a list of everything that is stressing you out. Then make a list of the same number or more of things you’re grateful for. Don’t care if you have to stretch and say that you’re grateful for the pen and paper to write the gratitude list and heck the ability to read and write. You can’t be angry/stressed and grateful at the same time. This practice gets the worry monster off your chest and makes gratitude your last waking thought. The majority of the beloved screens we’ve come to love as a part of our lives such as tv, smartphones, monitors and tablets also happen to emit a blue light that messes with our sleep cycle hours later. No technology 30 to 60 minutes before bed. Set your alarm and put your phone face down. Aside, you’re busy with the above step, so you don’t have time to cyberstalk your crush or read another enraging political article. 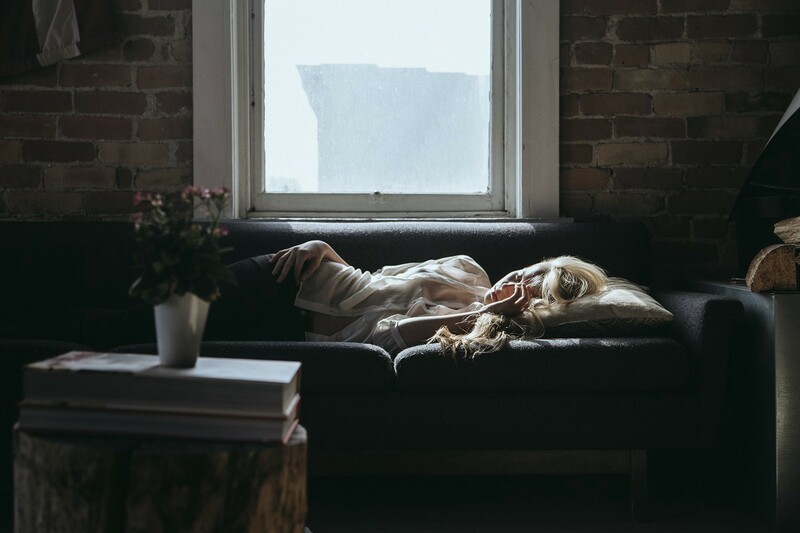 Sleep expert and fellow Thrive Global contributing writer, Christine Hansen offers a one-of-a-kind 5 Day Sleep Challenge. This 5 Day Sleep Challenge engages your focus on getting quality sleep, while providing valuable insight on how to do so. She’s brought together a team of experts to help you tackle your sleep issues from every angle. Where focus goes, energy flows and this is exemplary of this. You can do anything for 5 days and as far as homework goes, going to bed is pretty much the best assignment of all time. Sheila Amir is the owner, author and Sheila of NutritionSheila.com, a pretty swell website loaded with health, nutrition and wellness information all served with a bit of wit. Click here to get nutrition, health and food information delivered to your inbox.